The wait is over. 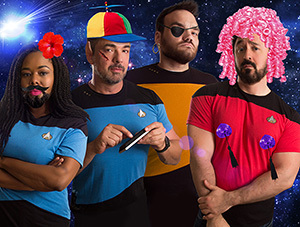 After 12 years of having all transmissions offline, Star Trek is back on TV, for one glorious night. This time the show is going where no black woman has gone before by casting The Walking Dead’s Sonequa Martin-Green’s as first officer Michael Burnham and all hell breaks loose. 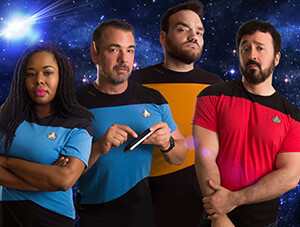 Please welcome the crew of this podcast which takes a look at the newest Star Trek series. Listen as Fausto Fernós, Marc Felion, Brian Sweeney & Collette Gregory explore strange new worlds and drive each other up the wall.